Editor’s Note: I am not discouraging people from visiting India. In fact, I loved so much about the country- the welcoming people, the beautiful sceneries, the tuk-tuks and food, and culture. Delhi is a bustling metropolitan. There is so much culture, history, lovely markets, lively cafes, nightlife, vibrancy, life. I’ve had friends who lived in 5-story houses with a theatre in the basement, friends who lived in family homes that faced beautiful gardens and others that had a simple apartment or cozy condo. Every experience is different, each is worthwhile. If you’ve ever lived in India, you would have noticed murmurs of Mumbai’s unrest and Delhi’s seeming ease, Mumbai’s hot winters and Delhi’s dramatic monsoon, Mumbai’s friendly crowds, and Delhi’s hidden competition. Yet, India’s theatrical contrasts are not just between its most well-known cities. Within each urban hub, there exists the greatest dissimilarity to which reflects India’s social structure – its socioeconomic difference. For many foreigners, Delhi is hard to grow accustomed to. Rid the streets of vibrant traditional attire and fancy cars, the charming neighborhoods with beautiful apartments and perfectly trimmed plants, the carts of fresh fruits and vegetables and high-end pubs and bars and restaurants, Delhi is sweat and tears and inequality. Of course, this is a condition in many developing countries. But Delhi hit me hard. The smell, the dust, the pollution that gave my ‘fragile’ Canadian lungs episodes of asthma attacks. The bugs, the temperature, the viruses that gave me Chikungunya. The landlord, the fraud, the confrontations that made me question confidence. But what hit me most, was facing poverty head on – looking at 3-year-olds in the eye when they begged for money, not because they thought it necessary for survival, but nonetheless conditioned to believe that’s part of their livelihood. It is in this Delhi that I lived for four months. Before I left for India, I confidently told my family that I made the right choice. Great internship, great research project, great people I’ll be working with and great fun. And psssssh what do you mean culture shock. I’ve never experienced culture shock. 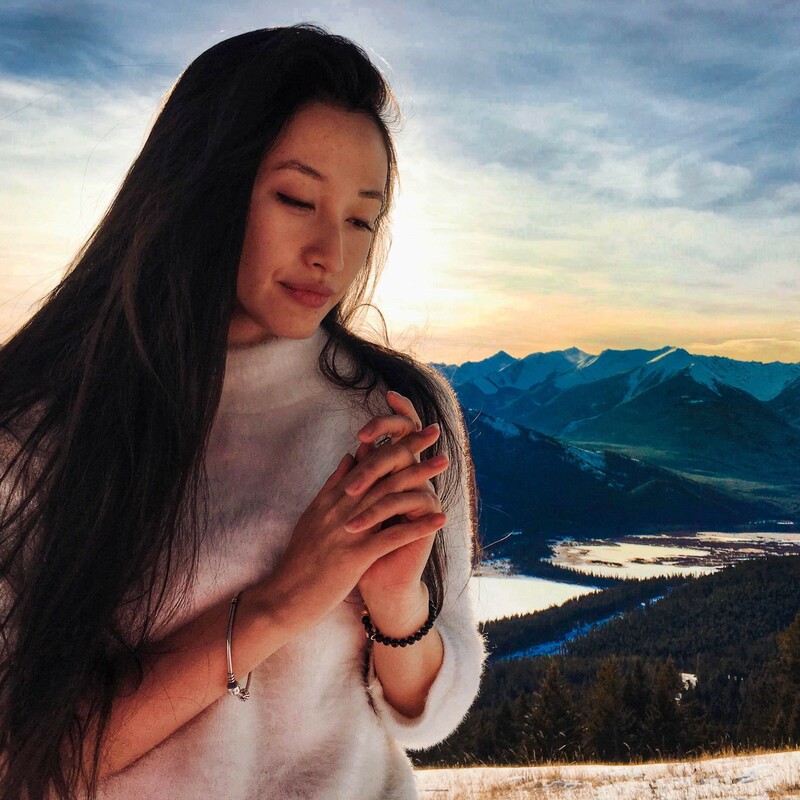 Besides, India is one of those mystical places you hear about, where people convert to Buddhism and live in the mountains to understand the meaning of life. Where’s the harm to that? Of course, I wasn’t keen to become a yogi by any means, but breathing in some spirituality on holy land wouldn’t hurt. I set foot outside the Gandhi airport on a hot summer July noon. Right away, I noticed the welcoming/curious/aggressive stares I received from men crowded by the airport door. Pulling my cardigan a little tighter, I waited for my friend to pick me up. 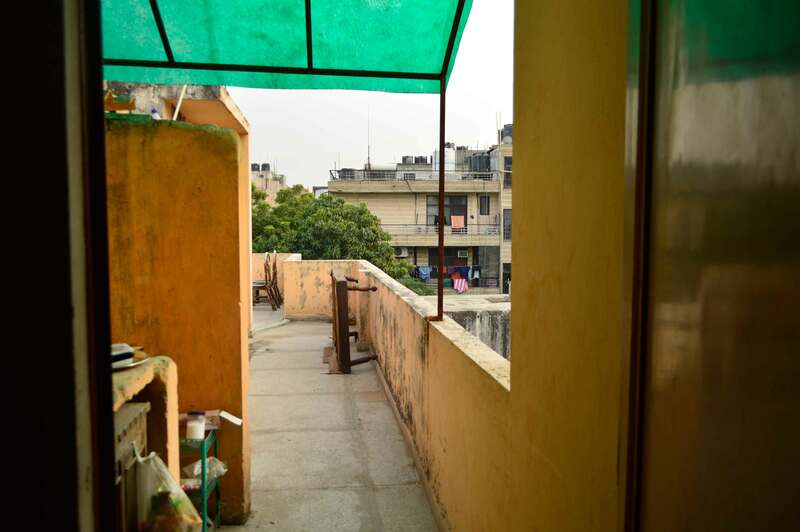 We rented a small two-bedroom apartment in Lajpat Nagar, a sweet place that cost around $120 a month. To save money on electricity, we opt to share one bedroom so we can lessen the workload on our 1990s’ AC. The initial days were hot. We’d roam around in our underwear and cook on a knee-high stove, making sure our sweat won’t drip into the pots. On the fourth day, monsoon got the best of me. While on a rickshaw home from work, it started pouring cats and dogs. My phone went to waste after losing a hard-fought battle with the depth of a pond formed inside my bag. I do seem to have really bad luck with phones. Two weeks later, it became apparent that our landlord was overcharging us. Each with a considerable amount of student loans on our back, my friend and I decided to move to a more affordable location. Initially, our landlord and her family had a crying fit. We had to stay for six months. She said. We must pay all the rent. She said. We will never get our deposit back. She said. While sorting out the legality of this whole fiesta, we asked our friends to secretly help us transfer our luggage into the new place. This second place cost $74 a month. It was here that I truly understood what budget living meant. There was no AC. On the hottest nights, we’d blast the fan and the air cooling machine to drown out the street dog/cat fights, a regular occurrence in the neighborhood. The most interesting part was the bugs. Because of the lack of window/ viable door, we’d have hundreds of friendly black flies drawn towards the light every. single. night. Their lifeless bodies lay across our covers, atop the table, on the walls. Once in a while, we’d have something a bit bigger. Sometimes a grasshopper, other times, unknown, six-legged beasts. We would run around screaming our heads off while these lost souls fly around dazed and confused. Over time, my roommate developed the ultimate skill of insect entrapment. We even had a dedicated water jar just for this whole new sport. *For my insect lovers: no harm was done/all released afterward. Chikungunya is this virus transmitted by infected mosquitoes. Polka dots decorated my whole body and I could barely walk with all the joint pain. Thankfully I survived the episode with only some spiritual fatigue. *For the love of god, please get your shots as recommended by a doctor before venturing South East Asia. I thought it wise to wing it without any prior medication. I’m clearly stupid. Coming back to the rest of my expenses. During my time in India, I rarely ate out except for the occasional fresh fruit shakes. Every day, I’d stop a vegetable cart and give the vendors 30 rupees, which was roughly 40 cents, and ask them to fill a bag for me. Since we didn’t have a fridge, this was the only way to attain fresh veggies. True, I lost some 10 pounds within weeks, true, sometimes I’d go to bed a bit hungry and true, I began losing hair and getting crappy skin problems. But this ended up being more of an experiment if a bit unhealthy. We also used our buckets as speakers. Honestly, if you can get onto a bus in Delhi with ease, you can probably do anything in life. I’d take the bus with the locals and spend around 20 rupees a day on transportation. Once in a while, when I’m feeling extra fancy, I’d grab a rickshaw for 40 rupees. Definitely not lying when I say getting on the bus in India is rough. However, after a few times, I really got the hang of running, grabbing onto complete strangers and jumping onto moving buses. Not to mention that buses were super entertaining. Men would generally give women seats and when they fail to, others would scold them. Whenever there was an argument, the entire bus becomes involved. My share of the apartment, which was $34/month was around $1 a day. Including food and transportation, it came to about $2 a day. After a friend lent me a phone, my bill came up to $5/month through Airtel. Cheap? Yes. Worth it? I don’t know. I don’t think I will ever be able to live through the constant hustle of this again. A few days after the first month, I met a friend who was generous enough to invite me to stay with his modeling agency. So, I spent the rest of my two months in India with a bunch of international models, met producers, actresses and a ton of people in the entertainment industry. But that’s a story for another day. P.s: And don’t forget, no matter what, we are a privileged lot. According to the most recent estimates, in 2013, 10.7 percent of the world’s population lived on less than US$1.90 a day, compared to 12.4 percent in 2012. That’s down from 35 percent in 1990. This means that, in 2013, 767 million people lived on less than $1.90 a day, down from 881 million in 2012 and 1.85 billion in 1990. The work to end extreme poverty is far from over, and a number of challenges remain. It is becoming even more difficult to reach those remaining in extreme poverty, who often live in fragile contexts and remote areas. Access to good schools, healthcare, electricity, safe water and other critical services remains elusive for many people, often determined by socioeconomic status, gender, ethnicity, and geography. Moreover, for those who have been able to move out of poverty, progress is often temporary: economic shocks, food insecurity and climate change threaten to rob them of their hard-won gains and force them back into poverty. It will be critical to find ways to tackle these issues as we make progress toward 2030. Wow that’s some serious budgeting there! I mean, I love travelling cheap, but even I’m not sure I could handle that haha. I’d love to get me a bag of veg that cheap though… Damn British prices! I’m impressed! I would love to visit India, but that’s the one place that really intimidates me still. It’s such a beautiful & diverse country! Just don’t start out with Delhi 🙂 If you go to Jaipur, Amritsar or one of the hill stations, it will ease you into the culture/crowds. Holy Culture Shock, Batman! No kidding, that is a different world. Mosquitoes are the worst, then to get Chikungunya is really horrible. Glad you are okay, and later got out of there to better conditions. What a story…..bugs…no door? That bed? Yikes…..then you went on to stay with international models? Talk about adventures!! This sounds like only the beginning, too!! Need to follow you and see what is next for you! I tend to get myself into the strangest of situations haha! I am so glad that you shared the good and the bad of living abroad. I do not envy your experience. It sounds pretty awful. It was nice though that it gave you a lot of grattitude for the place you came from because I know I sometimes forget how lucky I really am. Thanks for the share and love yiur writing. Until you clearly outlined the breakdown, I couldn’t fully comprehend how it would be possible, with food and lodging to come to only $3/day. I am not sure I would have survived the experiment as long as you did. Really puts into perspective privilege. Wow what an interesting story, I dont think I would have been as brave as you are though to do this but I guess it makes you stronger and definitely more aware of what goes on in different countries! Its a like one of those stories when while you are living it its so tough but afterwards you can see some of the funny sides. What am experience! You’ll truly appreciate things in your own country after living here for so long. I don’t think I would have lasted, however I’m sure you had good times and memories too! I read your story with shock… I don’t know how you managed to live like that for 3 months. I would have definitely spend more money rather than live in an “apartment” like that. I have been to India before and stayed with a friend for a few night in a similar place, but at least it was clean, with running water and a big fan. I could totally relate to this piece as I did an “India on a Shoestring” tour and had to budget myself like crazy to get through. Mind you, I had a little more wiggle room than $3 a day. You poor thing catching Chikungunya. It looked incredibly painful. I commend you for being able to cope at that type of budget for an extensive amount of time. Even though I am not an extravagant spender, I doubt I could manage at that low rate in such a country like India. When I first read the title of your post, I was excited to discover all your budget tips and commend you for living wisely! Unfortunately it doesn’t sound like all that was worth it in the end. I have never heard of chikungunya before, and wow, I am so sorry you got that 🙁 I had a similarly negative experience when I lived in China for two months right after high school for an internship, although after reading your post I feel a bit silly complaining about it. It was just really hot and difficult to find A/C in most places, or if there was A/C it was localized and very weak. The smog was so bad that (TMI) every time I blew my nose, my snot came out black. But I didn’t even have any landlord issues, and my apartment was not nearly as dilapidated as yours. Anyway I definitely agree with you that we Canadians/Americans are very privileged, and sometimes it takes traveling all the way across the world and having a not so great experience to truly understand what that means. Haha yes! I will definitely post more on budget travel tips in the future. I think it’s so important to show people how stressful traveling can be 😉 but it’s never all bad, despite the stay being uncomfortable, I had lots of fun in Delhi. I’m sure your stay in China make for a great story to tell as well! Oh my goodness!!! Delhi has some type of food and accommodation to serve every price range? Why did you choose such an extreme frugal stay?!!! You could have also tried to find some working women’s hostel or Paying Guest accommodation! Too bad you got chikunguniya!!! Btw, I too lost my phone in Lajpat nagar! I still have a copy of the police complaint I gave there! Bus in Delhi is difficult, I’ve always opted for a Metro! Hahha, at first I just wanted to see how far I’d go, then it became a habit to cut money back! The bus went directly to my workplace so that was easier than the metro 😀 But it was so difficult at times, especially during rush hour! Thanks a bunch for sharing your experience and expenses, Daisy! Very useful post! undoubtedly one of my favourite posts about travel or the Indian experience. You really hit it on the nail, daisy. Especially, the contrast between what we expected initially, the glitz and glamour of Indian culture vs. the real struggle of living through the maddening yet objectively fulfilling everyday Indian life. Thank you! There really isn’t a way to describe it. Definitely one of those situations where you’d have to live to experience it! Honestly? I’m so disgusted with this post, and I don’t normally have such a strong reaction to random blog posts I come across on the internet. I’m Indian, born and raised all across the country until the age of 21, lived in Israel and Denver since then; I currently live in Germany. People like you should have your passports revoked. Delhi is a bustling metropolitan city. If you want to pay as LITTLE as $34/month (absolutely absurd), then you will get what you pay for. I paid $300/month for an average place to live. The problem is, you don’t have the strength/sheer stamina to live the kind of life that comes with paying SO LITTLE. You’ve lived privileged (read boring, paid for by parents) lives all along. And so all you do is complain. Would you live in some run-down/poverty-ridden part of Canada and have the ability to be happy/healthy? I doubt it. This is such an atrocious post, it makes me want to throw up. And I haven’t felt that in a long time. Hi Yamuna, so sorry you felt this way. However, I think you misunderstood the point of the post. I am not discouraging people from visiting India. In fact, I loved so much about the country- the welcoming people, the beautiful sceneries, the tuk-tuks and food, and culture. As other articles on this site, this post talks about one of my many personal experiences, just like how I raved about the Himalayas in another or Jaipur in the next. I went to Delhi as a research student on gender studies and worked at an NGO, later lived at a modeling agency. These experiences gave me a multilateral perspective on the city and this is only one of many. Delhi is a bustling metropolitan. There is so much culture, history, lovely markets, lively cafes, nightlife, vibrancy, life. I’ve had friends who lived in 5-story houses with a theatre in the basement, friends who lived in family homes that faced beautiful gardens and others that had a simple apartment or cozy condo. I understand that $300 will give you a completely different experience than me, but doing so wouldn’t give you the same experience as I did. Of course, I’m not encouraging anyone to live on $3 a day or spend $300 a month on living, but personally, I believe all experiences are worth documenting and try to do so in a truthful, neutral manner. In my post, I stated clearly my privilege as a traveler and believe me when I say this experience made me feel more so than ever. In fact, many of us travelers are incredibly privileged to have the lifestyle we have. But only acknowledging the good and avoiding the bad, or vice versa, wouldn’t be an accurate account of your experience. I’ve been moving back and forth between several countries and grew up in a fusion of culture frenzy. As you, I’ve lived in many (5) different countries and work hard to pay for my travels. I often dive into sociocultural, political or historical issues in my posts. For me, these topics are deeply interrelated and should not be avoided. I do talk about Canada, China, and many others in the way that I did Delhi. Not out of spite, but personal reflection. For the record, this post wasn’t at all about complaining, and I’m sorry if it sounds as such. I appreciate every experience I’ve lived, and wouldn’t change it for the world. I believe you’ve many diverse experiences in Denver, Israel, and Germany, whether it be social, gender, cultural or otherwise. I encourage you to write them down and provide a perspective that many others won’t have.